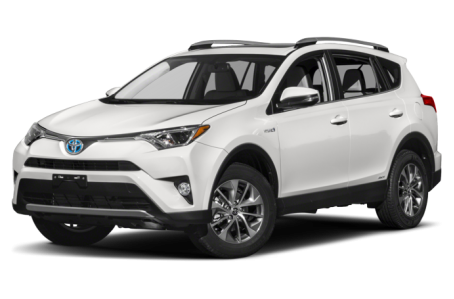 The 2018 RAV4 Hybrid offers even more fuel efficiency over the regular RAV4 compact SUV. Its power comes from a standard 154-hp, 2.5-liter 4-cylinder engine and an electric motor, which are mated to a continuously variable automatic transmission and Toyota’s Electric On-Demand all-wheel drive (AWD) system. Fuel economy for the RAV4 Hybrid is an EPA-estimated 34/31 mpg city/highway. It competes with the Nissan Rogue Hybrid and Subaru Crosstrek Hybrid.